Choosing a job? Considering a marriage? Facing a major decision? 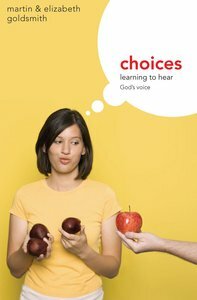 This book is packed with good advice that makes sense of the different ways God guides - the Bible, wisdom, circumstances, and inner peace just to name a few. Find out what it takes to get the right guidance and how to make decisions in the will of God. Martin Goldsmith lectures at All Nations Christian College, he served for many years as a missionary in the Far East and still travels the world speaking on his favourite topic -- mission. He is the author of many books Serving God Today; Beyond Beards and Burqas: Connecting with Muslims; Life's Tapestry; Islam and Christian Witness and Choices. Elizabeth Goldsmith is an Associate Lectures at All Nations Christian College, she served for many years as a missionary in the Far East and still has a worldwide travelling ministry. She has authored a number of books on missions, relationships and the Christian lifestyle.